London has a long history of providing superb coffee houses, and this has not changed. Wherever you look in London, there are some fantastic places to go for a coffee and a chat. Enjoy a good breakfast at your Kensington hotel restaurant and head to Kings Cross. 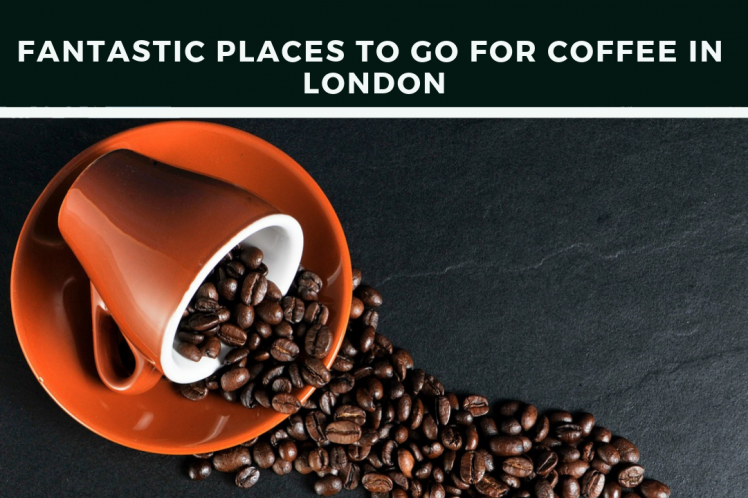 This is definitely one of the most popular places to go to buy food and drink, with masses of street food and catering outlets – including coffee houses! Celebrity chef Alain Ducasse has just opened Le Café in Coal Drop Yard, close to Kings Cross Station – just the place to go for a coffee before catching a train. A pretty boutique coffee shop, there is a wide range of coffee on offer, including high quality blends and single origin coffees all of which were roasted at his Parisian café. Equally worth considering is Notes Coffee in Pancras Road selling artisan coffee, wine and beers while not far away n Chalton Street the Somers Town Coffee House offers a great British food menu all day to complement its coffee. The Monmouth Coffee shops have long been a London institution. Avoid lunchtimes at their Borough Market outlet near London Bridge – it gets very, very crowded. Try the Bermondsey or Covent Garden stores instead. The choice of coffees is vast, so have a chat with the expert staff before ordering as they can often suggest a coffee type that you might not otherwise have tried, creating an experience not to be missed. Amid the numerous high street chains to be found all round Oxford Street are some irresistible specialist coffee houses. Search out the aptly named Kaffeine on Great Titchfield Street or its Tottenham Court Road branch. Relax with a fantastic coffee, enjoy superb seasonal food or even take a course to improve your latte art skills. Not far away from Park City Hotel London in Berwick Street is Flat White, perfect for lovers of strong Australian style expresso coffee, with just that minute quantity of milk to enhance the taste. This is the home of artisan coffee along with all day breakfasts and brunches, or just a snack of Banana Bread. Caravan has outlets across central London including Kings Cross, Bankside and the City. It has become one of the ‘go to places’ for anyone keen on a really good cup of coffee and wants to experiment. This is where you can find some really unusual varieties such as Chocolate, Hazelnut and Green Apple flavoured coffee or a Red Pitalito Decaf. The hardest part is choosing!